A Solid Wood Soccer Ball in Black and Wood Tone, mounted on Black Finish Base. This solid, light-grained wood body is standing tall on a rubber wood base. The top of the Belem Tower has a clipped corner that brings focus to the attention grabbing angle. 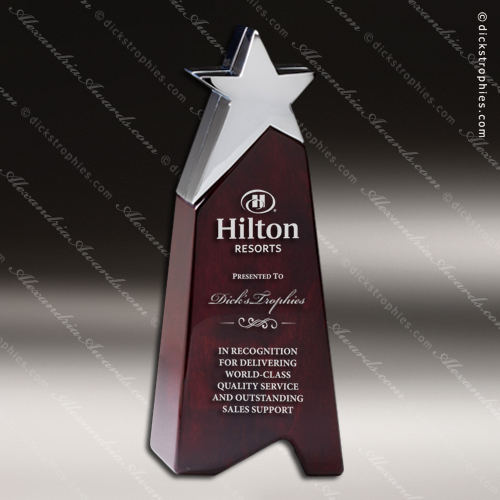 The geometric cut adds dimension, and is the perfect place to display your company logo. And there is plenty of room for a message of congratulations and words of encouragement. The Blank Wood is a self-standing tower, made from genuine solid Walnut wood, a premium black optical crystal circular flat, topped with a clear optical crystal Globe or Golf Ball. The basic shape can be versatile with creative design. There is also plenty of room for a message of congratulations or the stats from a rousing game on the greens! For the Luna Block, simplicity is the ultimate sophistication. While this solid, light-grained rubber wood is basic, the design possibilities are endless! There is plenty of room for anything from sports stats, the commemoration of a moving speech, or the lyrics to a powerful song. The Luna Block has substantial weight, giving it the look and feel of quality. Simplicity with a little golf mized in and you get the Luna Golf Tower. The solid tower body, which is made from parawood, also known as rubber wood, is accented with a gold plated golf ball. It is the perfect piece for the golf lover in your life, or for a sponsered fundraisig championship game. 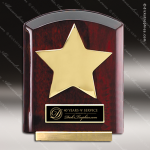 Your honoree will surely feel eternal glory, success and triumph. Score a HOLE-IN-ONe with the Luna Golf award. This solid light-grained wooden block base is made from eco-friendly rubber wood, topped with a gold plated golf ball. The Luna Golf comes in 2 sizes, a small square half block or a medium tower. It is a great piece for differentiating competitor levels. No non-sense and straight to the point is what the Luna Tower is all about! While this solid, light-grained rubber wood tower is very basic, the design possibilities are endless! 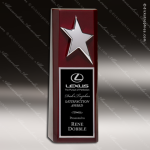 You can do full color UV printing of images and logos, a message of congratulatins, or a sweet love note. Sometimes, simple is exactly what you need. No non-sense and straight to the point is what the Luna Trio is all about! While this solid, light-grained rubber wood body is very basic, the design possiblites are endless! 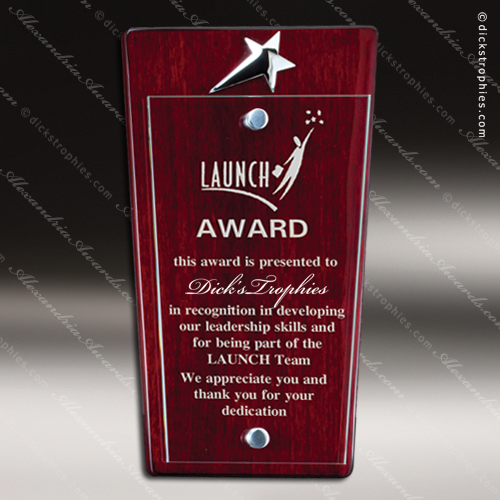 You can do full color UV printing of images and logos, a message of congratulations, or a sweet love note. Muliple sizes come in handy when needing to distinguish categories. Sometimes simple is exactly what you need. Looking for simplicity at its best? 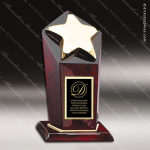 Then look no further than the New BB Block awards. 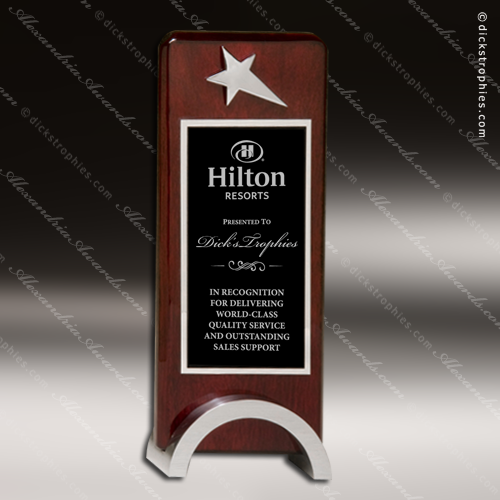 These solid, beveled edged plaques are made from a light-grained wood called rubber wood, also known as parawood sitting in simple modern aluminum base. It comes in two sizes, a square block and a rectangular block. 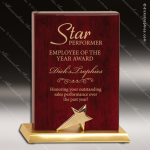 It is the perfect show of appreciation for any occasion, from commemorating career milestones, to showing appreciation in community outreach and volunteer work. Standing tall and mighty is the New York Tower. This solid, light-grained wood body is elevated on a rubber wood base. The simple yet dramatic lines command attention at its angled peak, a great focal point for an added personal touch. It is the perfect show of appreciation for any occasion, from commemorating career milestones, showing appreciation in community outreach and volunteer work. Go long or go home with the Player's Choice IV. The light-grained long, rectangular solid wooden base is made from the eco-friendly rubber wood, topped with not only the gold plated golf ball, but also a chrome plated flagstick. For an extra personal touch, you can add the logo of the course played on to the flag! It is a great add-on piece with the Player's Choice III for differentiating competitor levels. There is plenty of room for congrats, or game stats. 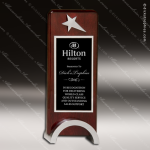 Classic wood plaque body made in the USA with solid Walnut wood. This is a classic self-standing wooden plaque. The aluminum adds a modern twist. A simple classic wooden plaque made from solid genuine Walnut wood. 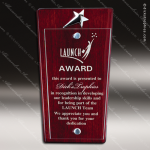 The plaque is topped with a black glass accent, and is assembled with sleek modern aluminum base. A simple classic wooden plaque made from solid genuine Walnut wood. The plaque is assembled with sleek modern aluminum base.